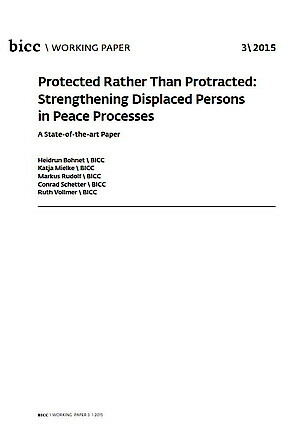 This Paper reviews the current state of the art on the return of displaced persons as a durable solution for long-term displacement situations. It outlines the impact, challenges and actors involved in the return process. The Paper shows that present understandings of return, protracted situations and conflict are often too short-sighted and need to be revised and extended. Reintegration as part of the return process in particular has only received little attention until now. The Paper further demonstrates that the relationship between displacement, return and peace has not yet been fully understood. More field and comparative research is needed that includes the perspectives of the displaced themselves to fully comprehend the process of return and to be able to identify best practices to guarantee the sustainability of return and reintegration.